LOCAL trainer Joanne Hardy paired up well with jockey Matthew Bennett in the first race of the day on Melbourne Cup day. Bennett steered four-year-old brown mare Supreme Babe to a convincing four length win in the 1314m AJ Pipelines Maiden Plate. The win marked the first placing for Supreme Babe since she rode a third place finish in Grafton on September 30. 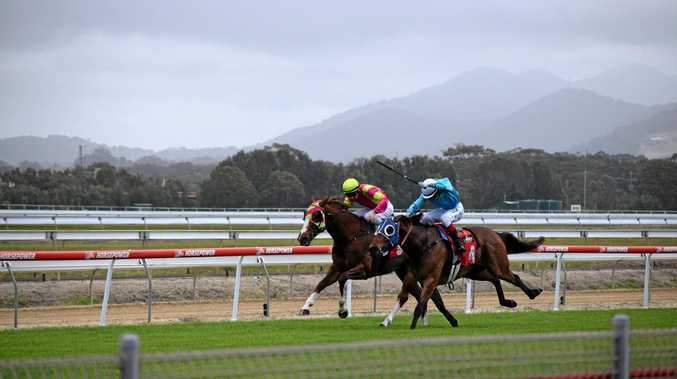 Hardy had less luck with her other four-year-old brown mare Jetty Beach which finished seventh in the final race of the day, the 810m Coffs Coast Health Club Benchmark 45 Handicap. Budding local trainer Brett Bellamy came close to a number of first place finishes but in the end had to settle for second at best. Bellamy's Alamira finished second in the 810m Smartec Maiden Plate, 2.1 lengths behind winner Defrost. His five-year-old bay gelding Magic Topaze also ran a second in the 810m Coffs Coast Health Club Benchmark 45 Handicap. Magic Topaze was tailed by Bellamy's Tiaconi and Hidden Concept which respectively finished third and fourth.